Tallinn lies near the 60th latitude of north, which means great differences between the seasons – both in terms of the weather and daylight. The weather is determined by the interaction between the Atlantic Ocean and the East European plain (the Eurasian continent), and regionally – the Baltic Sea, the Gulf of Finland and the Estonian mainland, so quite often throughout the year the weather can be unpredictable or unseasonal. When does it most likely rain in Tallinn? Because Tallinn has a humid continental climate (in the transitional zone between maritime and continental climate), rain (or snow from October to April) is likely all year round and is quite evenly distributed throughout the year, except for a two-week spell of drought or excessive rainfall. From May to September, and especially in August, there are quite a lot of showers. Thunderstorms can also occur (most commonly during the second half of the day). At other times of the year thunderstorms and downpours are very rare, steady rain or snow is more common and then there is no clear pattern of rainfall. When does Tallinn have snow? Since the middle of the 20th century, the average temperature in Estonia has risen by more than the global average (0.2 – 0.3 °C per decade). The number of days with snow has decreased (between 1961–2002, the average decrease has been 25.9 days) and the amount of rain has increased (5–15%). Considering global warming (climate change), these trends are predicted to continue, except with June becoming colder and snowier. In spite of this, snow between November and April will remain common. There will be 0–5 days of snow in October and April. This all means that, according to current trends, in the year 2100 the winter will be clearly cyclonic: stormy, rainy and warm, the sea will no longer freeze, though cold spells and snowstorms will not disappear. The summer will be clearly anticyclonic: less windy, hot and with torrential showers. Winter has very changeable weather, and there is usually snow between December and March. In warm winters the snow arrives at the end of December or the start of January (with maybe the odd snowy period earlier), occurring and melting rapidly. In a cold winter the snow can be seen at the end of October or in November and stay until April. Sometimes the deepest snowcover is in November or December (e.g. early January of 2010 set up new snowcover record – 62 cm or 24.41 inches), sometimes even in March and April. Lake-effect snow is most likely in December and January. This happens when a cold air mass moves across long expanses of warmer lake or sea water. 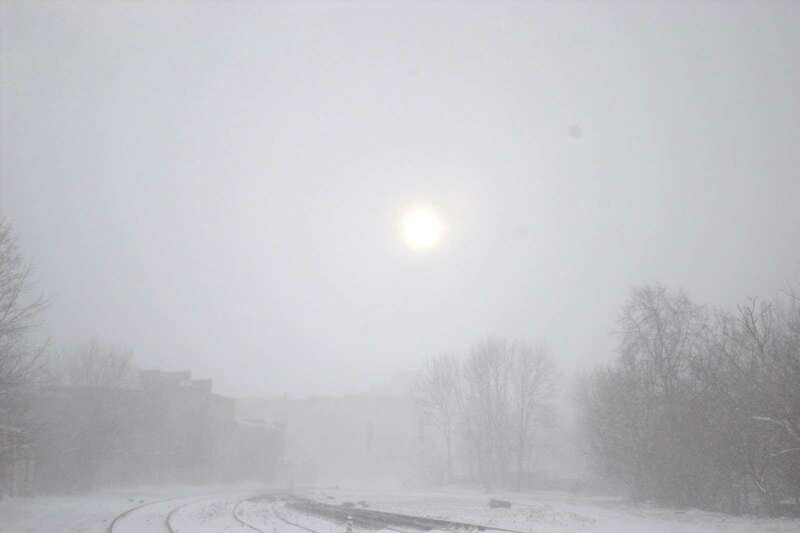 In Tallinn lake-effect snow occurs when the cold air mass moves from the northeast to the southwest over open, ice-free water on Gulf of Finland, sometimes causing heavy snowfall (more than 10 cm of snow can fall in a single day). 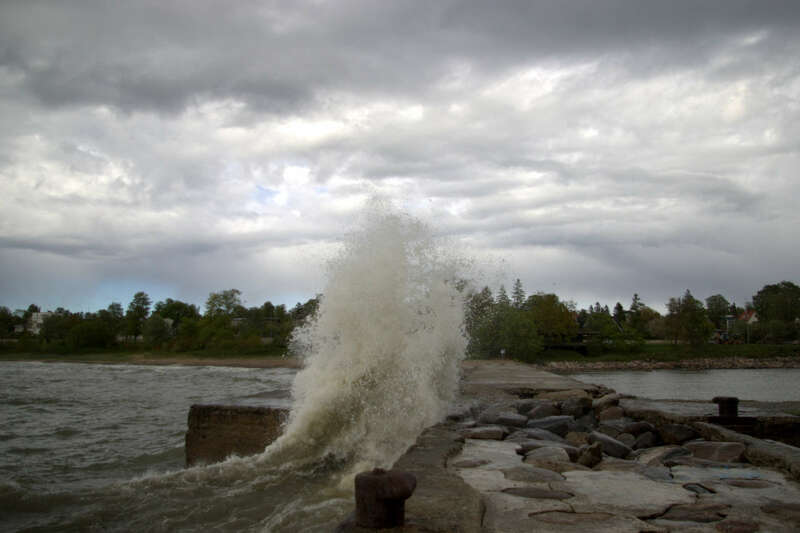 In some rarer cases lake-effect could bring blizzard-like conditions or snowsqualls. During a warm winter, lake-effect snow can occur in February or even in March because the sea is not frozen. Winter is often windy and the temperature depends on the synoptic situation, which means irregularity and that there is no significant daily pattern like in summer. The arrival of a warm air mass can see the morning temperature rise to above 0 °C or a cold air mass arriving can cause it to fall below –10 °C during the middle of day. From November to January, the sun has no clear effect on air temperatures, except on very cold and calm days. The air temperature between November and March varies between +5 and –25 °C, although on some occasions it is possible to rise to as much as 15 °C in March or fall to –25 or –30 °C in January or February. The lowest temperature has been –34.4 °C in February and the highest 15.8 °C in March. The most common temperature in winter is 0 to –10 °C, though in February and March the sun’s warmth is sometimes noticeable. In spring, the uneven warming of the sea and inland areas have an influence on the weather. The effect of the breeze is particularly noticeable, especially in May. The breeze, which is comprised of land- and sea-breezes, occurs usually alongside settled and sunny weather, when the sea is still cold but inland it is warming up considerably. The breeze is felt more strongly during the day – a calm and sunny noon can suddenly become chilly and windy as the breeze brings cool air from the sea. The temperature can sometimes even fall by 10 °C over the course of a few minutes. The impact of the breeze is especially noticeable if it is warmer than 15 °C in April or 20 °C in May. Depending on the year, March can be either winter or spring month. April is often the most changeable, where on the one hand there can be a heatwave and on the other hand, freezing temperature and snowstorms. Over the last 20 years it has been both 28 °C and –10 °C. A long time ago there has also been much colder than –10 °C, though there have been snowstorms in the recent past too (e.g. snowstorm on April 29th 2017). Both April and May regularly have overnight frosts. In an exceptional year, there can even be snow in the first half of May. The latest snowfall have occurred at the end of May (in 1975). There was also snowfall in June 2014, but it didn’t affect the Tallinn areas. The risk of heatwaves increases in May: the first time the temperature will reach 25 to 30 °C is at some point in May. For example in 2014, the heatwave in May was unbearable – it caused health problems and complaints, temperature rose up to 32 °C already on May 19th and it was humid. 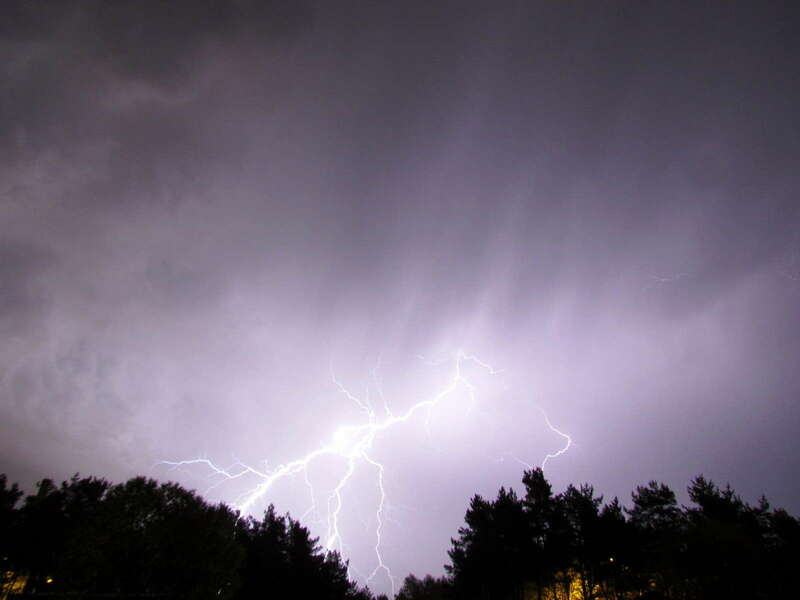 The first thunderstorm usually can be seen in May, very rarely in June and equally unusually in April. Summer is variable but mild. This means that it rarely climbs above 30 °C (the record for both July and August is 34.4 °C), usually it is 15–20 °C, in a warm summer 22–27 °C (in 2001, 2010). Overnight frosts are rare and can occur only in June (both on the ground and in the air). Very rarely overnight frosts may occur in early July (only on the ground) and at the end of August. 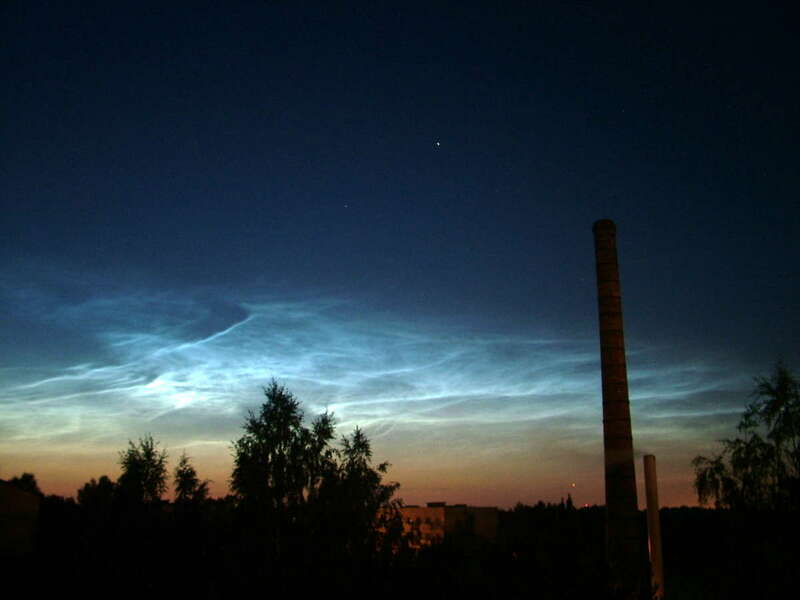 Almost in all cases, overnight frosts occur somewhere in the suburbs of Tallinn, not directly next to the sea or in the city centre. 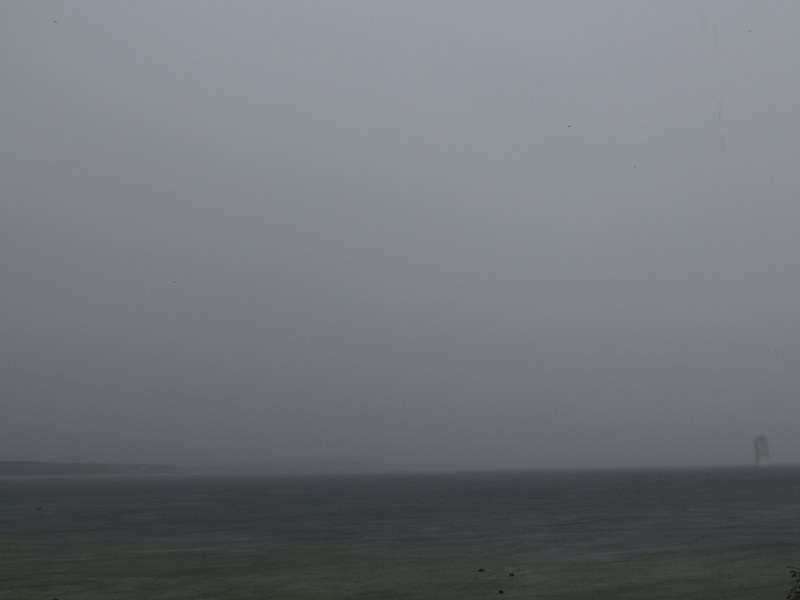 At the beginning of summer (in May or June) the promenade can be buried under a dense fog, especially when the air mass is warm and humid, and there is a sea breeze. 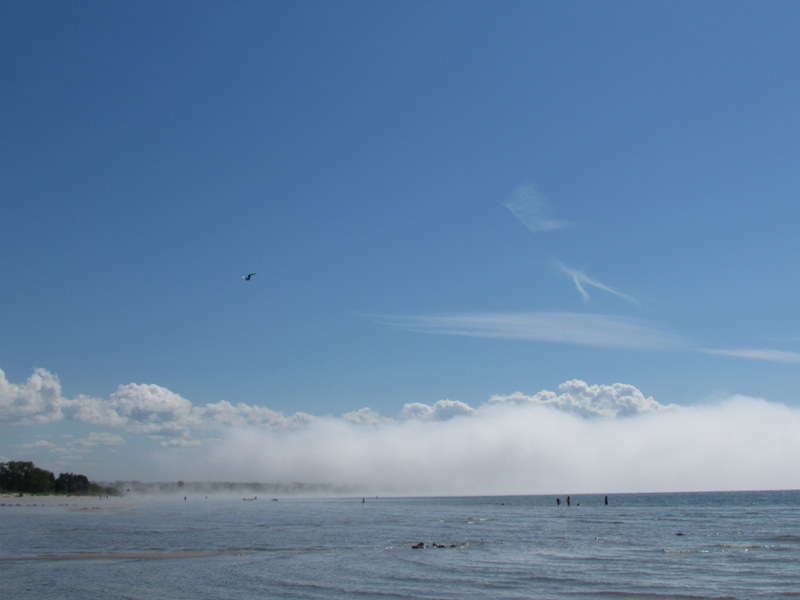 In 2013 during hot weather in May, fog settled over the sea and some parts of the city for weeks. The breeze, which can unexpectedly make the day’s weather chilly, is common until July and, if there is hot and calm weather, sometimes even in August. There are 10 to 15 thunderstorm days. The month with the most thunderstorms is July, although if it is a cool summer, most thunderstorms will be seen in August. Sometimes, most commonly towards the end of summer, there can occur hail or ice pellets. Large hail (hailstones) is very unusual, the last time was in September 2004. Tornadoes can rarely occur over the sea in the second half of the summer – this is called a waterspout. Only one tornado, in 1967, is known in mainland of Tallinn and even this is not officially confirmed. Heavy rain and downpours sometimes occur either with lightning (cumulonimbus clouds present, accompanied heavy showers, even hail) or without (cyclone-related torrential but steady rain). Downpours can cause localised flooding, sometimes even a flash flood, especially when this happens in downbursts (originated from cumulonimbus clouds). Autumn is usually cloudy, dull and windy. Usually there are rain periods with steady rain, which can last for days. 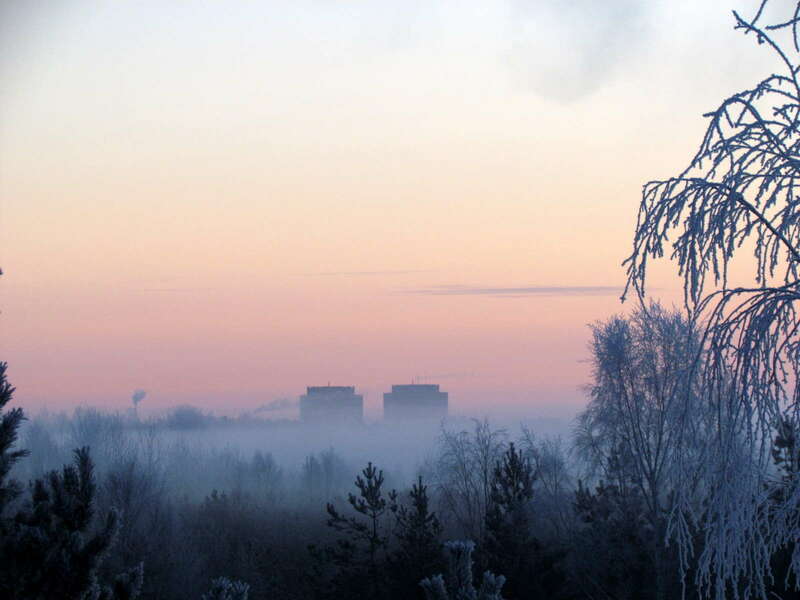 The first overnight frosts in the suburbs of Tallinn usually arrive in October, and in colder cases during the second half or late of September. Sometimes September and October have longer spells of clear, settled, warm weather (mornings can be foggy and with overnight frost), called an Indian Summer, in which case the daily maximum is at least 17 °C. 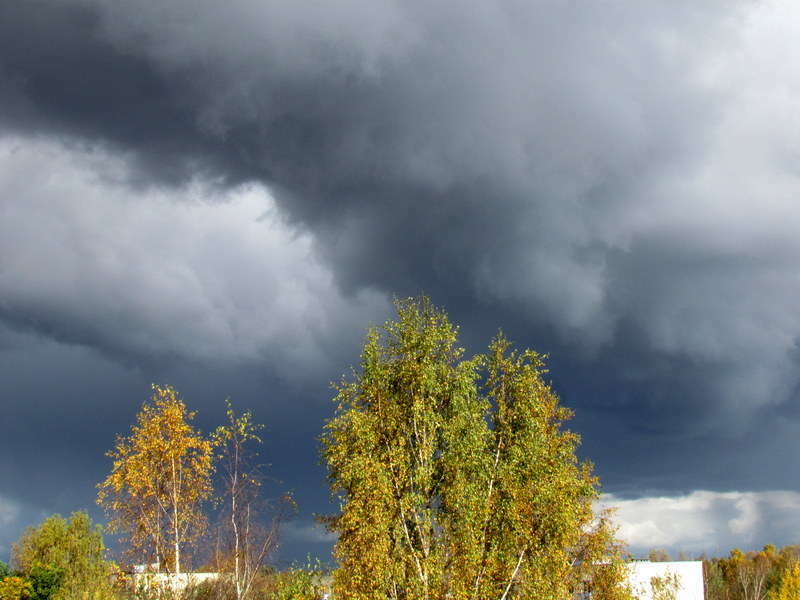 The last thunderstorms usually occur in September but are often restricted to the sea due to much warmer and humid surface, although sometimes there are thunderstorms in October or even November. In this case, thundersnow can be seen, with the air temperature below 0 °C. This happened for example in October 2010 and 2013. There can also be spells of overcast weather at the same time as dry and calm periods, which are most likely in October and November. These are related to anticyclones and therefore called anticyclonic gloom. Usually the first snowfall happens in October and in November the first wintry days arrive, although in the recent past, winter has even started as early as October. In 2002, the first major snowfall was on October 5th. If the autumn is warm, then warm, snow-free, sometimes rainy weather can last until December or even into the New Year. This could become more common in the future due to climate change. 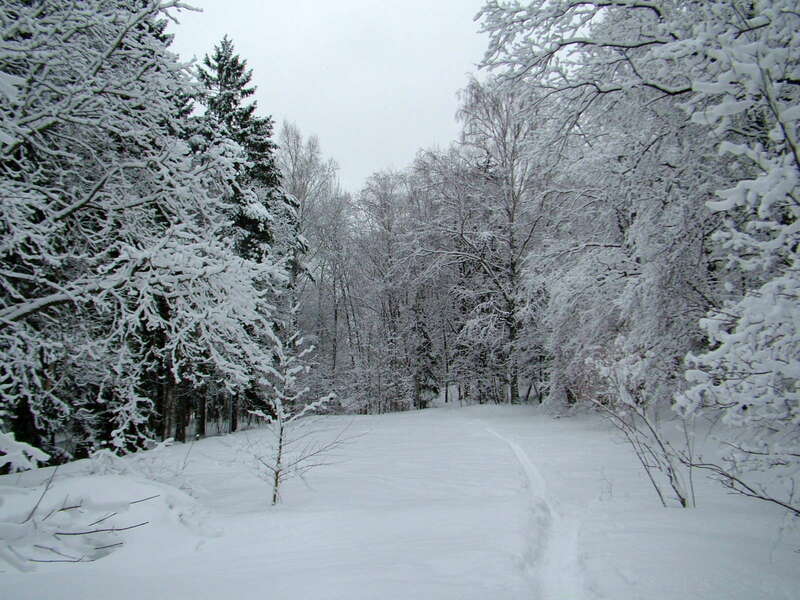 Despite of warm autumn, several snowfalls or wintry periods are common as well. 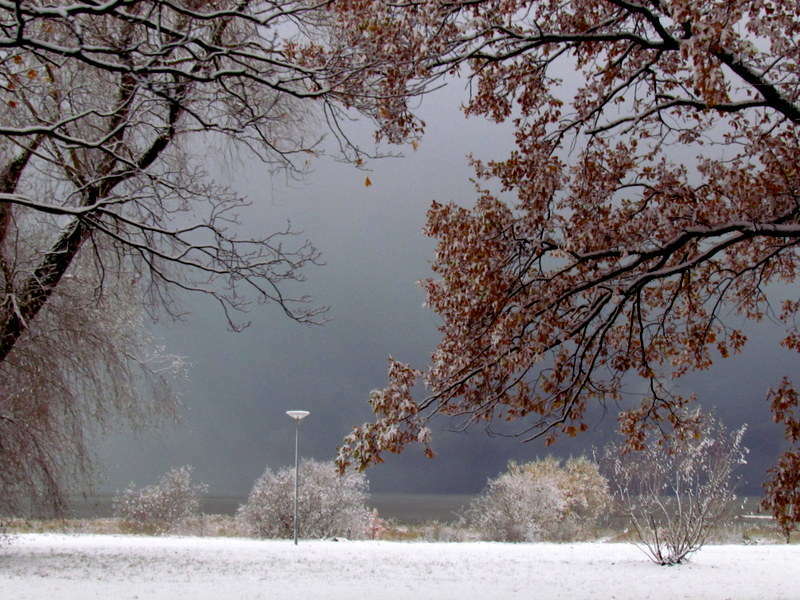 The first snowstorms usually come in October or November. A snowstorm strictly speaking means weather with sustained wind at least 21 m/s, if not so strict, then wind gusts at least 21 m/s. In the recent past there have been many settled and warm (snow-free) autumns, when the first stronger wind (gale, extratropical cyclone) comes at the end of November or December. When will it snow? Will it snow at Christmas? Snowfall is common between November and March, but October and April also usually have some snowy days. Rarely there is snow in May, over the last decade this has happened a few times. In September and June the return period (possibility of occurrence) is 50 years or even longer. It should be noted that June has become snowier over time. There were heavy June snowfalls in 1982 and 2014 but those events didn’t affect Tallinn area directly. The probability of snowfall at Christmas is more or less 50:50, thus it is not guaranteed. It is therefore worthwhile to check the weather forecast. It would seem that Christmas is becoming less snowy, so perhaps we need to prepare ourselves for a more wet and green Christmas. How warm is June? How cold is January? June is quite mild (15–20 °C during the day, if it is windy or rainy during the day it can be lower), but it is not unusual to reach 25 °C as well and some (recent) years it has also been over 30 °C. The perfect weather for tourism and vacation in Tallinn was in June 2013, when there was thunderstorms and every second day it was 25 °C or higher. The opposite and extreme case was in June 2014 when there was one day with insane heat, strong thunderstorms and large hail nearby, and another day with wet snow and graupel (it was 0 °C during the snow). Alongside warm and settled weather there is usually a breeze, which can turn the weather unexpectedly cooler at noon or in the second half of the day. When there is a warm and humid air mass, there is often fog on the sea, which can make the town cool especially when accompanied with breeze. The air temperature in January mostly stays between 0 and –10 °C, rarely it can reach 5 °C or fall –20…–25 °C. There is no particular or clear pattern, it means the same month can see over 0 °C or below –20 °C. On only a few instances has the temperature remained below 0 °C for the entire month (last time in 2010), although it has never happened that the entire month has been over 0 °C. Does the sea freeze in winter? It is rather unusual, and it is becoming less common for the sea to freeze. 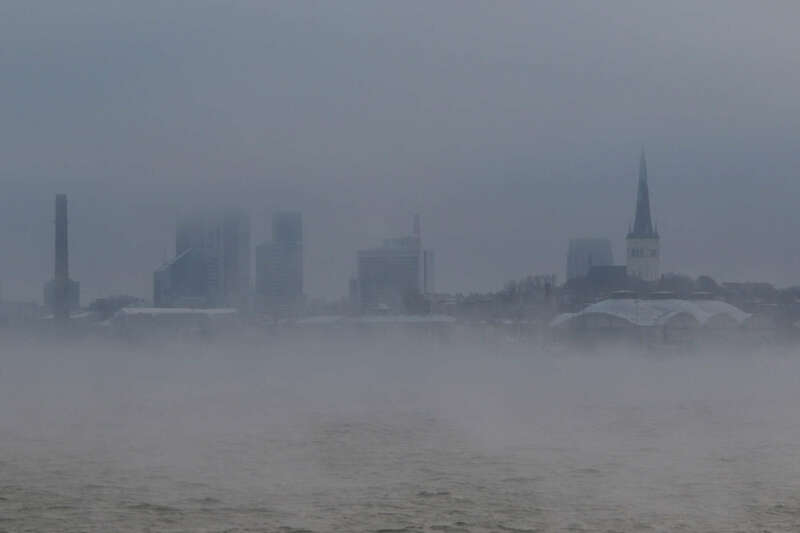 Often there is ice on the shoreline or Tallinn Bay looks like icy soup and partly frozen, but usually not completely frozen. For the sea to freeze it needs a considerable amount of cold (a certain sum of minus temperature for the whole winter). The sea will reflect the harshness of the winter. 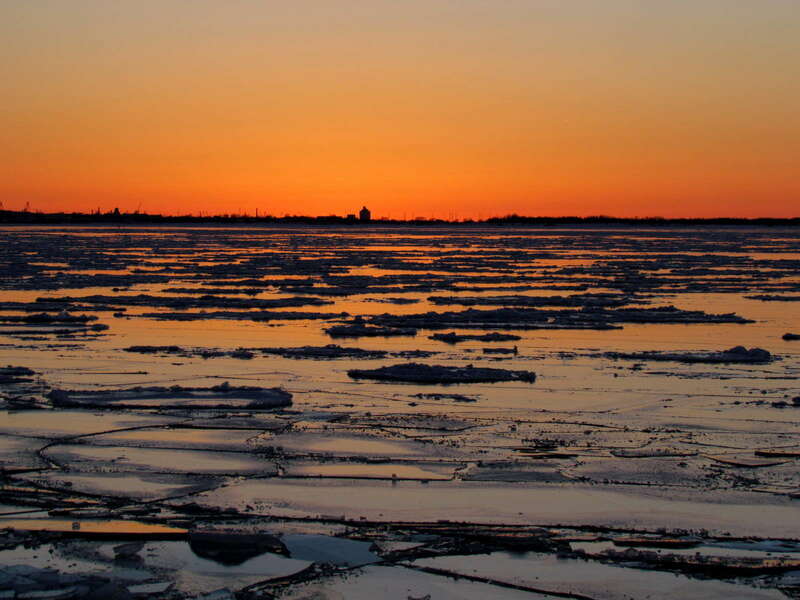 In warm and variable winters, the sea will not freeze, or it will look a little frozen. Only in harsh winters will the sea completely freeze, the last example of which was in 2003, and perhaps also 2010. If I come to Tallinn in March, will I be able to ski? March can easily be either a winter or a spring month. In 2007, for example, it was regularly 11–16 °C in March and no snow was observed. In March 2013 there was over 30 cm of snow for the entire month and the temperature was most often –12…–17 °C, some days even as low as –22 °C. There was also a very cold and snowy March in 2005 and 2006. There are therefore no guarantees that the possibility of snow and skiing is possible. Classical skiing requires at least 20 cm of snow, which is quite rare in March, but for skating style the conditions are better. What will the weather be like tomorrow – will it rain, will it be cold, will it be sunny? For further advice you can ask kamenikmeister(a)gmail.com (shorter, easier questions are free, longer may be chargeable subject to agreement). Jüri Kamenik (1988) is a Doctoral Researcher in Geography in the Department of Geography (under the Institute of Ecology and Earth Sciences) at Tartu University. He has carried out weather observations since February 1998, and his favourite topics are storms and clouds. 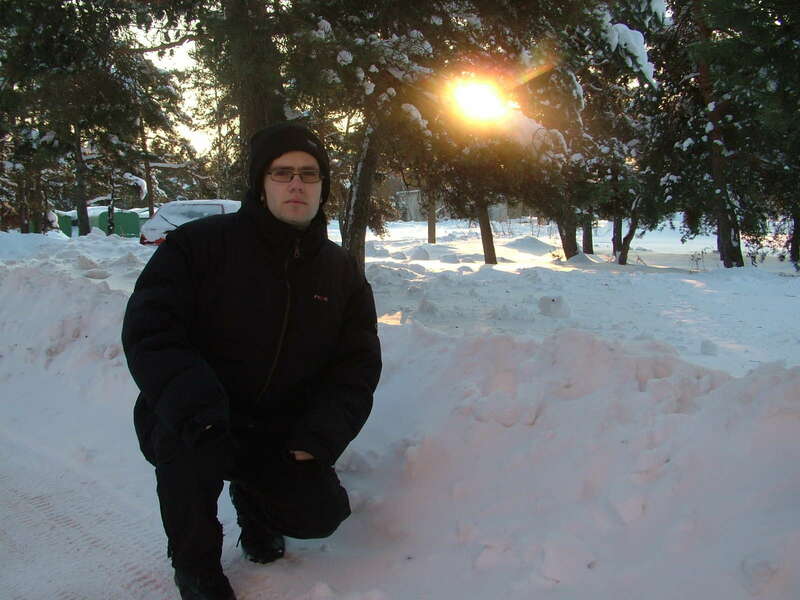 He has been associated to ilm.ee since 2009 and has organised the Baltic States Stormhunters. 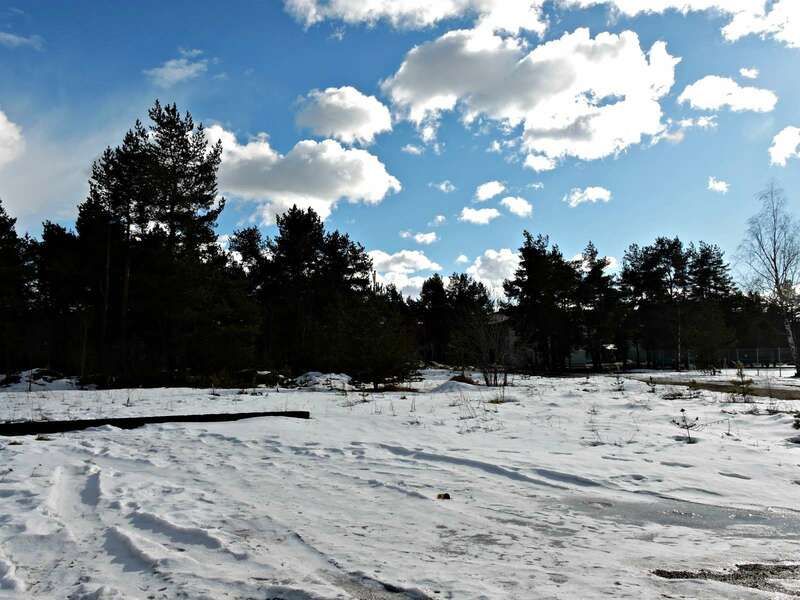 Articles based on Jüri’s research (climatology of weather extremes in Estonia and their possible trends in changing climate) have appeared in several different Estonian journals and newspapers. In addition, he has appeared in scientific programmes on Estonian television and in spring 2015 he published a thorough overview of clouds in the book „A Cloud Atlas of Estonia“. You can also take a look at Jüri’s blog „People and the Weather“ ilmjainimesed.blogspot.com (in Estonian). Since January 2018 Jüri has also worked as a weather forecaster for the WRC M-Sport rally team and set up his company Weather Institute. Loe artiklit eesti keeles siit. According to global trends (climate change), winter in the year 2100 will be clearly cyclonical; stormy, rainy and warm, the sea will no longer freeze. There will still be a few events which will bring very cold spells, reminding us of bitter winters from the past. 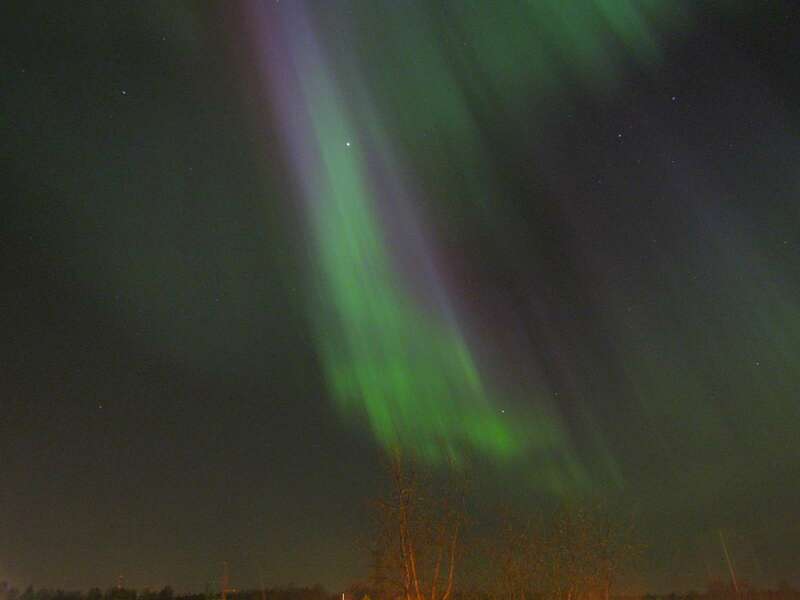 One of these events can be caused by a sudden stratospheric warming, or the Berlin Phenomenon, as this was where the phenomenon was observed and first described in the 1950s. Sudden stratospheric warming is an event in which the observed stratospheric temperature rises by several degrees (up to 50 °C), over the course of a few days. The change is preceded by a situation in which the Polar jet stream of westerly winds in the winter hemisphere is disturbed by natural weather patterns or disturbances in the lower atmosphere. It is linked to the splitting of polar vortex, and the outcome of which is a slowing down of the jet stream – the westerly winds in the stratosphere – which become weaker or even reverse. In this instance, the circulation begins to change and the probability of a meridional circulation increases. Changes which begin in the stratosphere can affect the surface of the earth for a couple days or up to a few weeks, affecting usually Europe most of all. Which circulation prevails at any given time depends on Rossby waves, also known as planetary waves, and the strength of polar vortex. If the latter is weak for some reason (for example because of splitting of polar vortex), it can cause unusually large amplitude Rossby waves to develop (accompanied by atmospheric blocking), which can result in the usual westerlies reverse to easterlies or being replaced by airflow from directions such as the north or southeast and usually means large anomalies. A clear example was at the end of February 2018, when such an event occurred. Circulation changed and Svalbard experienced an extremely mild weather of up to 5 °C (it was the warmest place in Norway at this time) as a tropical airmass reached from the 30th latitude of the Atlantic Ocean. In several places in Britain there was snowfall and maximum air temperatures below 0 °C, and on the Baltic Sea there were storms and blizzards as well as very cold weather (between – 5…– 20 °C). So, despite climate change, sudden atmospheric warming is one event which can bring extreme cold weather and snow to the Baltic Sea, just like the classic winters our grandparents used to know.